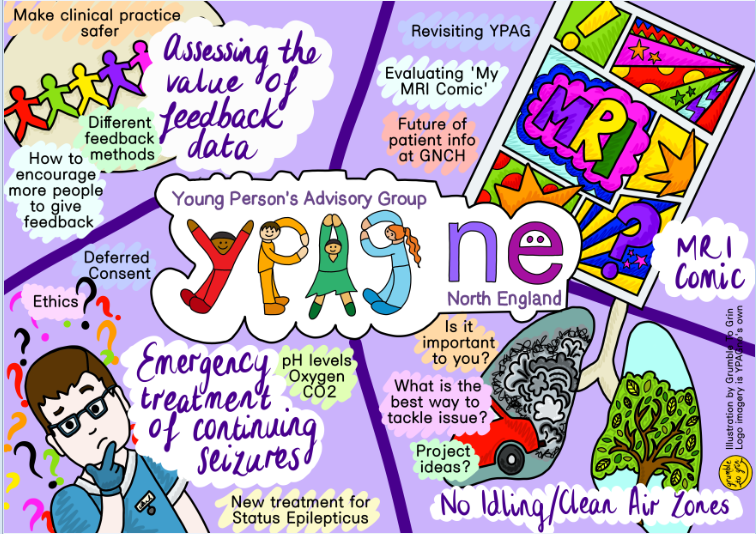 The Start of 2019 has been busy for YPAGne! We have had three meetings so far, reviewing 12 research and quality improvement projects. In March, the Great North Children’s Research Community Conference was held at the Centre for Life in Newcastle city centre. 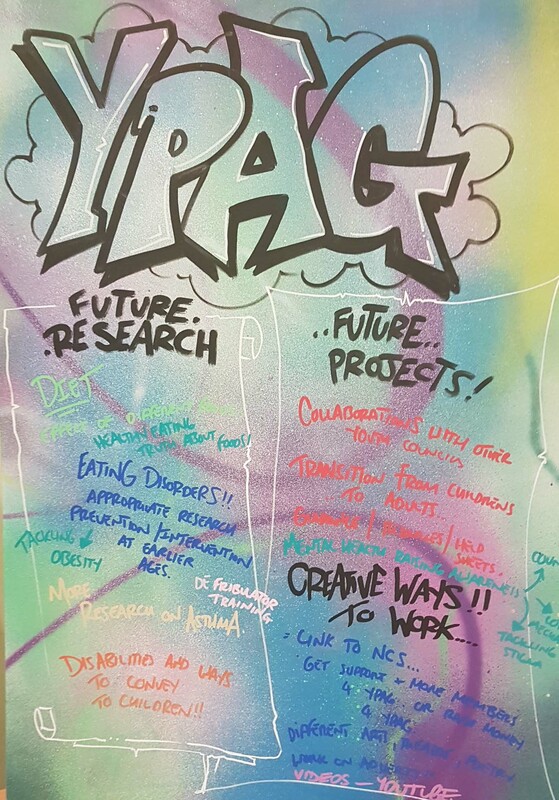 YPAGne members Ollie, Fatimah and Nikhita took to the stage in the afternoon as key note speakers to discuss co-production and the importance of involving young people in the design of research studies. Megan and Natasha did a fantastic job taking over Twitter for the day, presenting their poster and chatting to other delegates about the variety of work the group does. The group have also been involved with the North East and North Cumbria Child Health and Well being Network which has been set up to design and deliver a healthier, happier, and better life for children and young people. 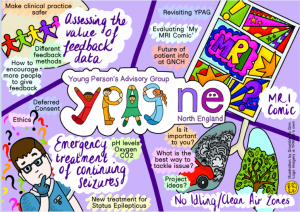 The network, along with help form YPAGne have created a survey to ask young people aged 13-25 who live in the region what they think the network should focus on and what priorities are important to them. 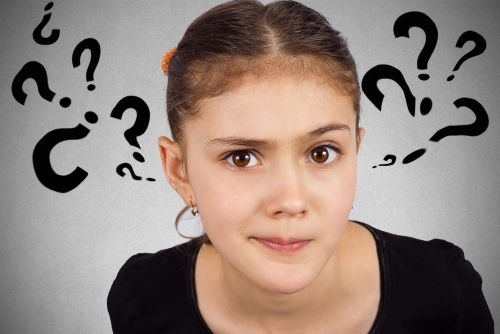 If you would to complete the survey, please follow the link below. Video introduction to the work of Young Persons’ Advisory Groups by the Birmingham group.